Cho Seung-Hui was not some guy who suddenly went berserk. Ask almost anyone who came in contact with him and they will tell you that this guy was a mass murderer waiting to happen. 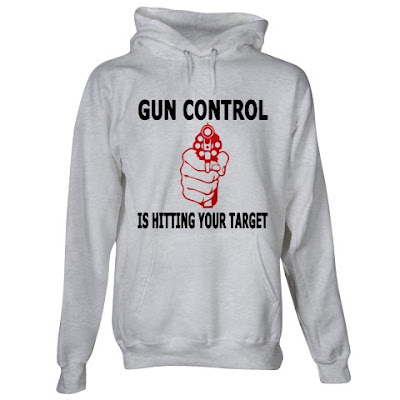 How could someone sell this nutcase a gun with a past like his unless there really is no background check. "This is it. 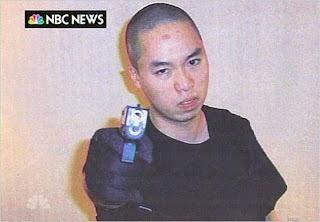 This is where it all ends," Cho says in one videotape, in which he appears to be more melancholy than angry. "What a life it was. Some life." Cho, 23, speaks in a harsh monotone in other videotaped rants, but it isn't clear to whom he is speaking. Some of his photos resemble scenes from a South Korean movie in Chan-wook Park's "Vengeance Trilogy." "You had a hundred billion chances and ways to have avoided today," Cho says in one, with a snarl on his lips. "But you decided to spill my blood. You forced me into a corner and gave me only one option. The decision was yours. Now you have blood on your hands that will never wash off." 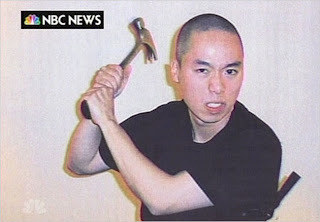 BLACKSBURG, Va., April 18 — Campus authorities were aware 17 months ago of the troubled mental state of the student who shot and killed 32 people at Virginia Tech on Monday, an imbalance graphically on display in vengeful videos and a manifesto he mailed to NBC News in the time between the two sets of shootings. 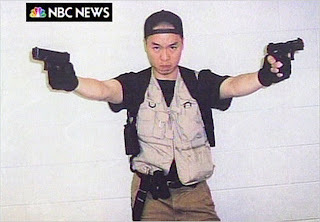 To those who study murder and madness, the video and pictures that Cho Seung-Hui mailed to NBC News provide a rare, penetrating look at the mind of a madman -- obsessed with paranoia and fantasy and driven to massacre by wrongs he felt he had endured. 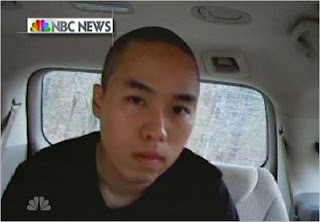 When NBC's New York offices opened Cho's package Wednesday, the network immediately turned it over to authorities, and NBC soon released segments of Cho's video and some still pictures -- setting off a wave of analysis by experts about what drove Cho to kill 32 fellow students at Virginia Tech on Monday before turning one of his guns on himself.